The next few weeks are going to be fun for you all and myself! I have so many indie polishes to share with you I received in Las Vegas during Cosmoprof. I am so excited! I am so overwhelmed by the indie market, that I find it difficult to know what to buy when I have the money. I'm so grateful for the opportunity to try so many brands and to have met so many great makers a few weeks ago. This experience has definitely helped me pinpoint brands I know I will become a loyal fan and custom of in the future. 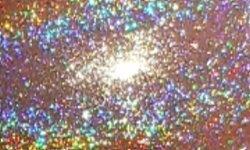 The first indies I have to review for you are from Glisten & Glow! These polishes are from the recently released Cocktails Anyone? collection. Silver Streak is a silver holographic. 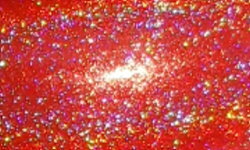 Tequila Sunrise is orange-red holographic. Colors: These are holos are intense. 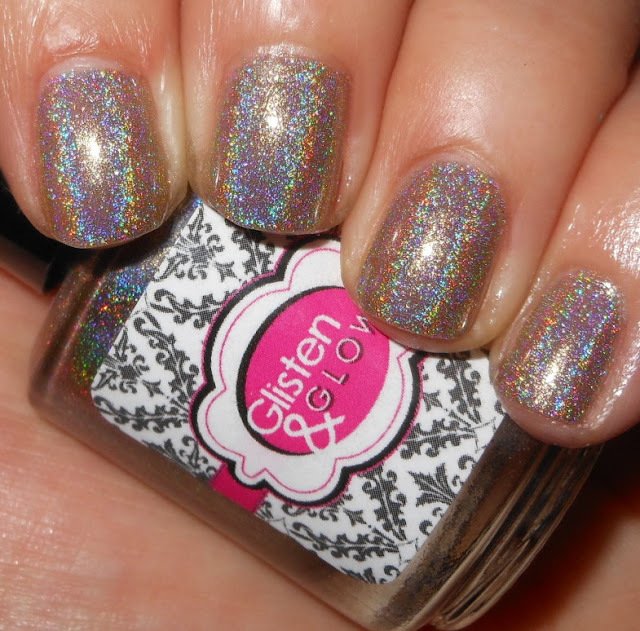 I'm talking blinding intense, but I'm completely OK with being blinded by a holographic nail polish. What I love about Silver Streak is that it's not your typical silver holo. I found this silver has hint of taupe to it which makes it stand out compared to other silver holos. Tequila Sunrise is also an awesomely pigmented. Formula: The formula on both of these were really easy to use and nice. I used 3 coats on Silver Streak and 2 coats on Tequila Sunrise. Price: These are $14.00 individually and $105.00 for the entire 8 polish collection on the Glisten & Glow website. 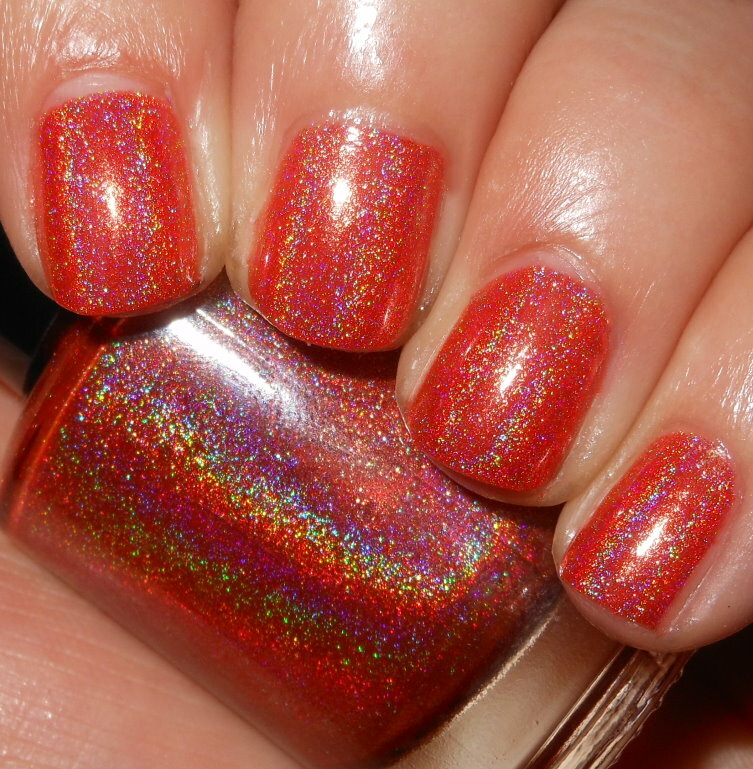 Overall: I was really impressed with the quality of these holos. The intensity is great and they both have a nice formula to match!